In order for our democracy to work, for it to be a true democracy, we have to show up. But for those without transportation to the polls, "showing up" can be tough, if not impossible. In an effort to raise awareness of free ride options for those without a way to get to their polling place, Common Cause in Wisconsin has developed a list of advocacy groups, transit authorities, transportation and other organizations throughout the state offering rides. To increase the number of ride options, we've also recruited individual volunteers to add to our statewide "Free Rides to the Polls" directory – a list that continues to grow with just one day left before tomorrow's election. If you or someone you know needs a ride, check out the latest version of this our list of free ride options linked on our website. And if you would like to join our team of volunteer drivers – or know of any groups in your area offering free rides to the polls, please contact us asap so that we can add you/them to our list! 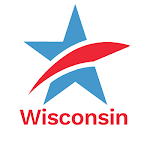 For links to more information about voting in Wisconsin – voter photo ID, college and university student voting, election protection hotline numbers, and more – please visit the Voting Resources page on our website. Statewide List of Free Rides to the Polls on Election DayTweet this!